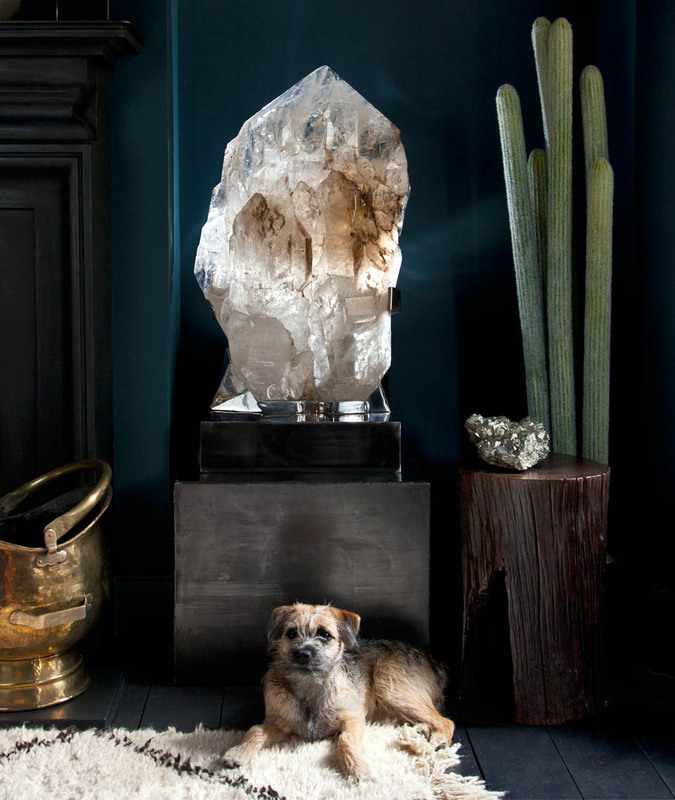 This rock is purely made from the mineral quartz. 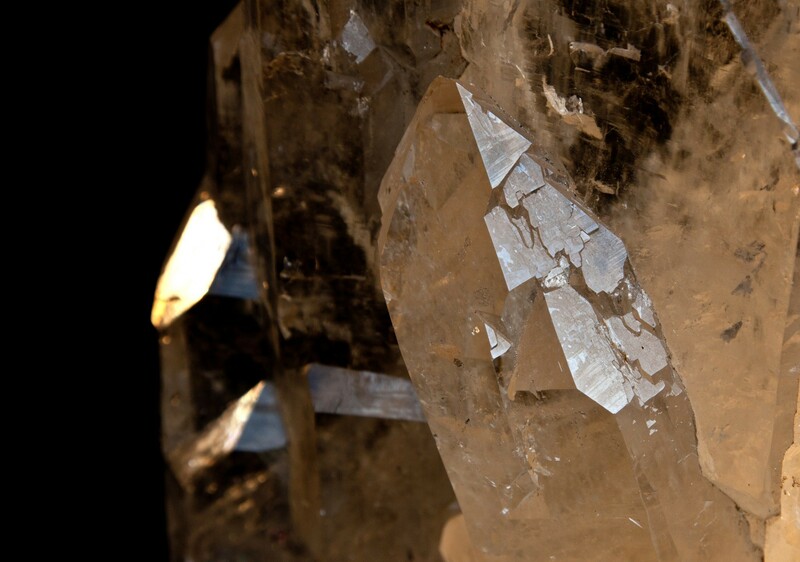 Quartz is one of the hardest minerals on this Earth. Its structure includes only the elements silicon and oxygen, in a similar arrangement to diamond. This structure containing only the strongest type of chemical bond (a covalent bond). As silicon and oxygen fit perfectly together, there is very little space for other atoms to break up the structure and disrupt this natural purity. 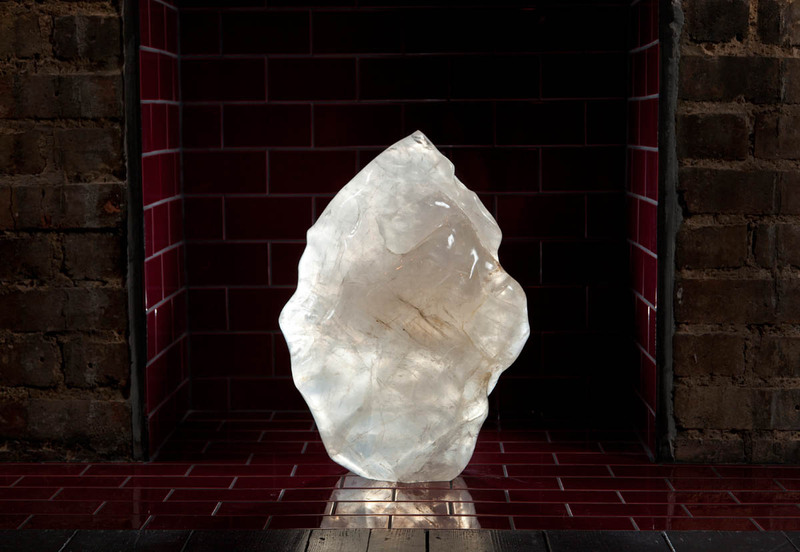 The size and shape of this giant Brazilian crystal is outstanding. 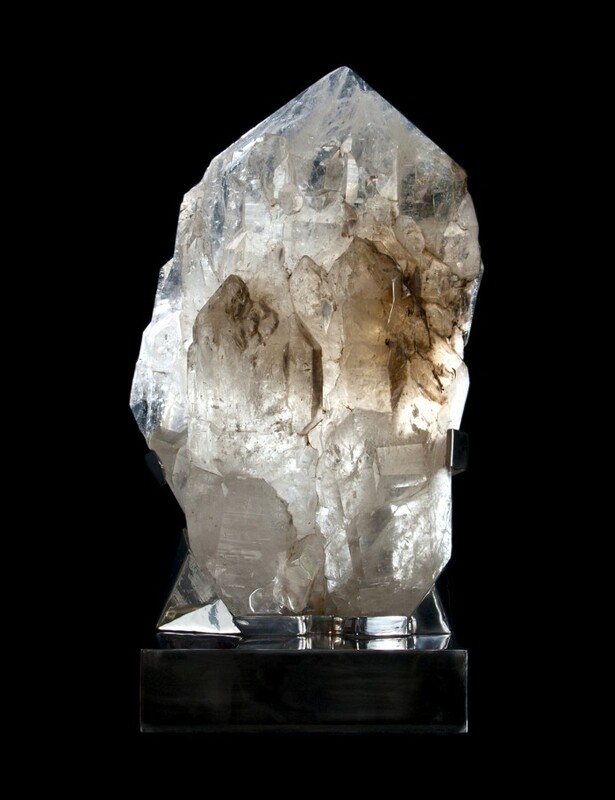 Quartz is one of the most abundant minerals on the surface of the earth and will often form millimetre long crystals or centimetre wide streaks in other ‘country’ rocks. However, this object is far beyond these. 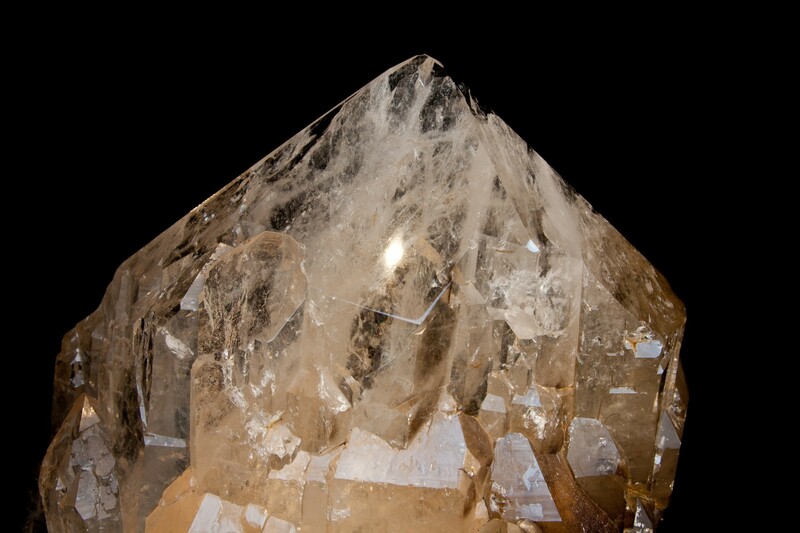 The larger the crystal, the longer it took to form, so a structure this large would have grown over millions of years. 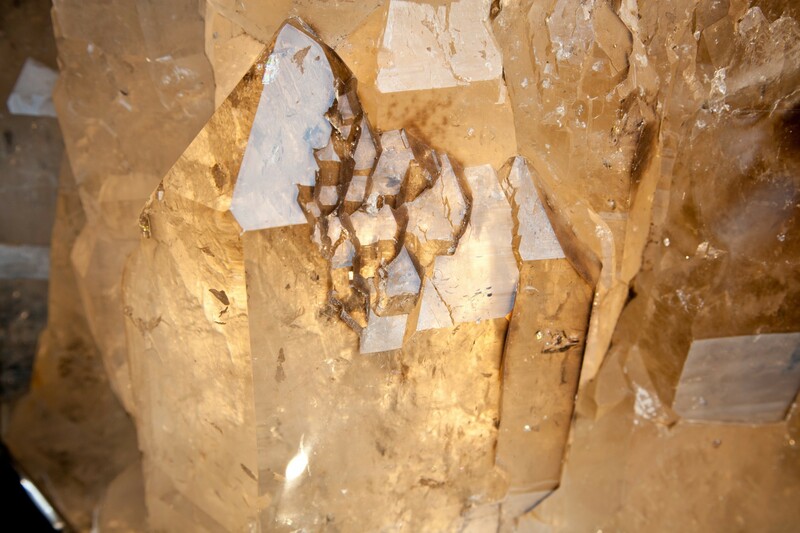 The crystal faces are so perfect that they may seem cut to this shape. However, a closer look at the faces will confirm that these are natural, formed as the quartz structure grew under ideal pressures and temperatures. In the centre of the object, we can see some smoky black faces. 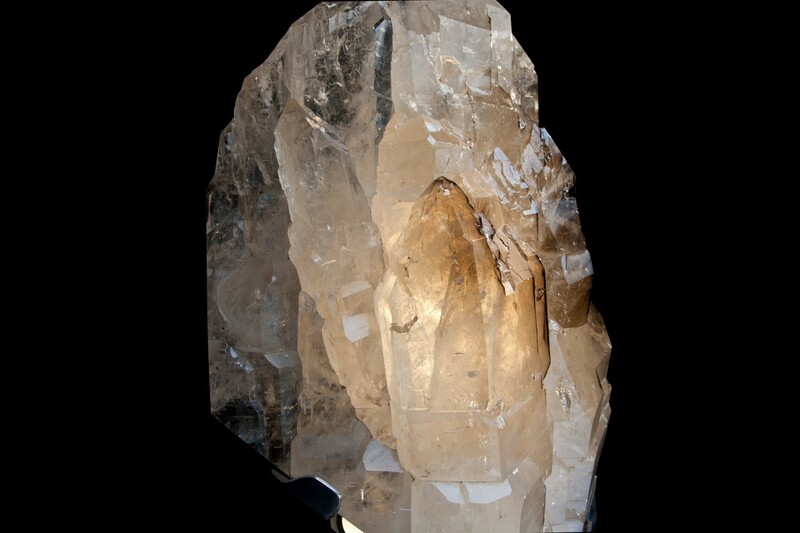 These disrupt the otherwise crystal-clarity of the mineral. Formed by irradiations from surrounding rocks, these darker areas creating a mysterious clouding within the giant structure.